An increasingly popular and effective way to reach international markets is by using the sound of local voices. A voice that speaks the language of the market adds an element of trust, credibility, and familiarity. ITC offers voice-over services in more than 200 languages. Our high quality voice-over service enables you to localize your content and carry your message across both linguistic and cultural boundaries. 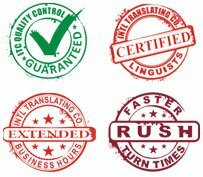 We only use professional voice-over artists who are native speakers. This ensures the delivery of the proper pronunciation and idiomatic nuances of your target language. For your project, ITC finds professional and native voice talent to match the language, gender, and age you need. This ensures that the voices representing your company sound familiar and appropriate to your production. The pace and tone of voice are other critical components to a successful voice-over. The voice talent who work on your project are specifically selected for your project’s target market. At ITC, we work non-stop to meet and then exceed your expectations.